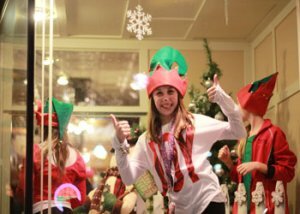 The holiday season is a wonderful time to experience the transformation that’s occurring in the downtowns of Mercer County. You don’t have to travel far to find one-of-a kind gifts, outstanding service, great dining experiences, and enjoyment of the arts. This holiday season, discover the treasures in your own back yard. The downtowns of Mercer County will delight you with the options they present. 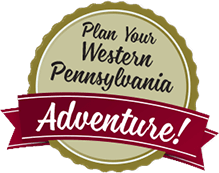 Mercer County PA shopping, dining, and activities are yours to enjoy! If you haven’t been to downtown Sharon lately, you are missing out because a new Downtown Sharon has emerged in the last few years. Big Dog RC will host the 6th Annual “Show Down in the Snow” Indoor RC (remote control) Car Racing event on December 17, 2016. 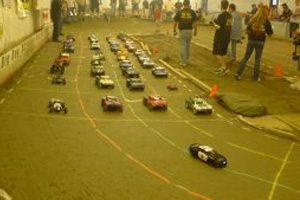 The event draws amateur and professional drivers from around the eastern United States and Canada who will drive their 1/10 scale cars at scale speeds of over 400 miles per hour! “Last year, the event had over 230 entries,” said John Raskob, who owns Big Dog RC with his wife, Robin. “We had drivers ranging from 5 to 75 years old, with both men and women competing,” John said.